There is an impending disaster looming in front of us (something also mentioned in a recent editorial in this newspaper on the matter of devolving the functions of the Higher Education Commission [HEC] to the provinces). What has been decided by the cabinet (on the recommendation of a parliamentary committee on devolution headed by Raza Rabbani) is to tear higher education to shreds and hand over the pieces to the provinces. What has not been realised by our policymakers is that the process of socio-economic development takes place through central strategic planning, which is intimately connected to a country�s higher education and science and technology programmes. The minimum quality requirements and the numbers of engineers, scientists, doctors, economists and social scientists needed for nation-building have to be determined through careful central planning regarding human resource requirements in various sectors. A multiplicity of standards and regulations would be disastrous. That is why the world over, including in India, higher education planning and funding is done centrally, even though universities are located in the provinces. 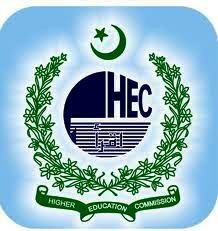 All the vice-chancellors of public sector universities, on November 27, 2010, therefore, unanimously resolved that the status quo of the HEC should be maintained since it has performed exceptionally well and is completely protected under the 18th Amendment. Pakistan�s highest level science body, the Pakistan Academy of Sciences (whose members have included such luminaries as the late professors Abdus Salam and Salimuzzaman Siddiqui, and whose present members include Dr A Q Khan, Dr Ishfaq Ahmed and Dr Samar Mubarak Mand, and of which I am now the president) held a press conference in Islamabad recently, protesting in the strongest possible terms, the fragmentation of HEC. A strongly worded article protesting the dismantling of the HEC, by Dr AQ Khan, was published in The News of March 29, 2009. All this fell on deaf ears. The motivation behind the shredding is �to teach the HEC a lesson�. This, he wrote, was for upholding the principles of merit, not bowing to political pressures and, particularly, for refusing to verify forged degrees of a large number of parliamentarians as being legal. Pakistan made remarkable progress during 2001-2008 in higher education. There was a 600 per cent increase in scientific publications in international journals and a 1,000 per cent increase in citations in this period. Today, several of our universities are ranked among the top 500. The University of Karachi was ranked at 223 in the world, NUST at 260 in the world and Quaid-i-Azam University at 270 in the world, in the field of natural sciences. This is no ordinary achievement after decades of stagnation. The World Bank, USAID and the British Council published comprehensive reports on the higher education sector, applauding it and calling it �a silent revolution�. Pakistan won several prestigious international awards for the revolutionary changes in the higher education sector brought about by the Higher Education Commission. These include the TWAS (Academy of Sciences for the Developing World, Italy) Award for Institutional Development in October 2009 and the Austrian high civil award �Grosse Goldene Ehrenzeischen am Bande� (2007), conferred on me as chairman of the Higher Education Commission. An eminent educational expert, Professor Wolfgang Voelter of Tubingen University, paid glowing tributes to the Higher Education Commission in an article in a Pakistani newspaper on November 28, 2008 under the heading �The Golden Period�. I quote: �A miracle happened. The scenario of education, science and technology in Pakistan changed dramatically as never before in the history of Pakistan. The chairperson of the Senate Standing Committee on Education recently announced it as �Pakistan�s golden period in higher education�.� Professor Michael Rode, former chairman of the United Nations Commission on Science, Technology and Development wrote, and I quote: �The progress made was breathtaking and has put Pakistan ahead of comparable countries in numerous aspects.� The world�s leading and oldest scientific society, Royal Society (London) recently published a booklet entitled �A New Golden Age�, considering Pakistan to be the best practice model to be followed by other developing countries. India became deeply concerned at these developments. 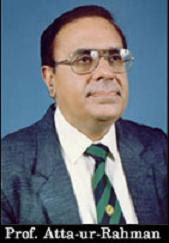 In an article entitled �Pak Threat to Indian Science� published in the leading daily newspaper Hindustan Times, India, on July 23, 2006, Neha Mehta reported that Professor C N R Rao, (Chairman of the Indian prime minister�s scientific advisory council) made a presentation to his boss and expressed serious concerns at the remarkable progress made by Pakistan in the higher education and science sectors. The article wrote that �Pakistan may soon join China in giving India serious competition in science�. The Indian leadership need not be concerned since we are ourselves hell-bent on destroying our nation by undermining the development and progress of higher education, science and technology and then being doomed to perpetual slavery. The HEC was created as an autonomous federal regulatory institution with the prime minister of Pakistan as its controlling authority. The composition of the commission reflects a balanced federal structure with representation from each province, as well as the secretary education and secretary science and technology, together with eminent academic and research experts. All powers and functions of the HEC defined under its legislation are covered and protected in the provisions of the 18th Amendment. But, alas, who cares about what is legal and what is not. Lower level education has been a complete mess, because of half-witted plans and lack of a national commitment towards education. Some of our leaders have now come up with this strategy to destroy the higher education sector as well. My plea to the government is: Please stop this suicidal madness. Something good happened in Pakistan after some 55 years of neglect. Let us not destroy this wonderful initiative. I hope that the president, prime minister and the army chief will intervene to stop this madness before it is too late. If ever there was a case for the chief justice of the Supreme Court to take suo motu action on, this is it.